Unfortunately, we don't have transcripts for all our videos. If the video has a YouTube logo on it... click on the logo. 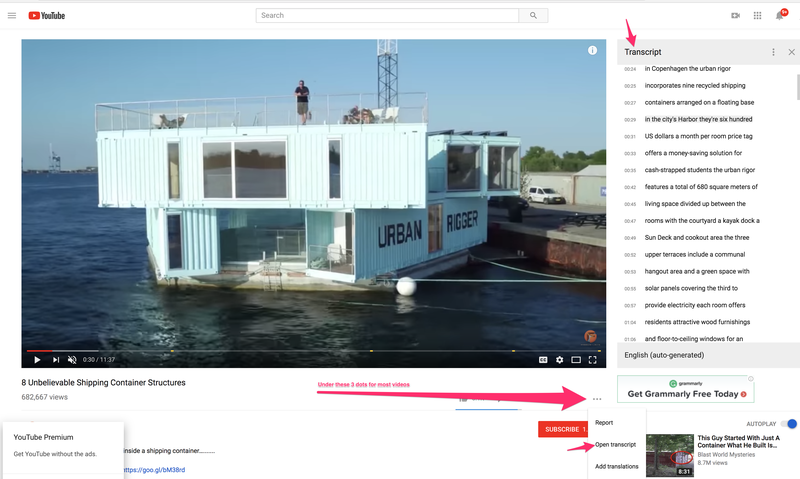 It'll open in YouTube, then, you can look for the 3 little dots that indicate more features. Under there you can turn on the transcript view. For other videos, it's on our wish list too.